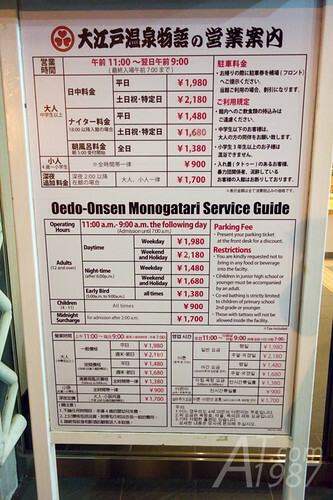 After left Palette Town I took the train back to Telecom Center station for visiting Oedo Onsen Monogatari. 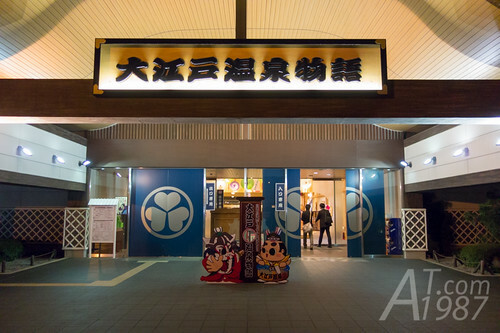 Ooedo Onsen Monogatari is the onsen theme park that is decorated into the town in Edo period. 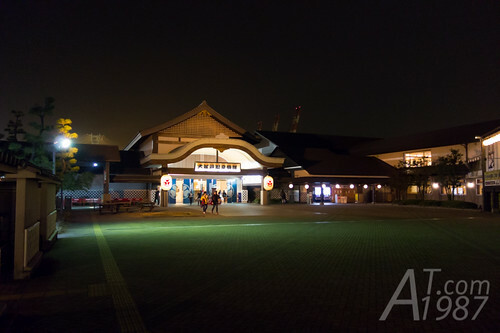 AKB48 is the presenter for this place too. 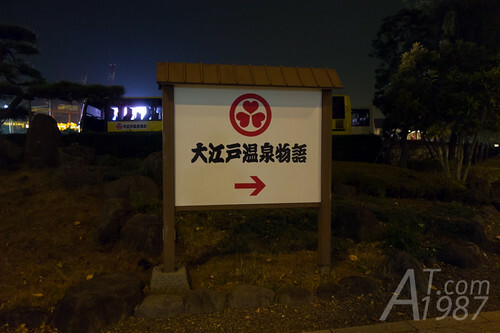 Get off the station at Telecom Center side and you will see the sign. Follow the direction on the sign. Here it is. Here’s the service guide and price. If you want the cheapest price, you should visit here after 6 PM on the weekdays. This place also prohibits those who have tattoos on them like other public baths and hot springs in Japan. To use the service here. First remove your shoes and keep them in the locker on the left. 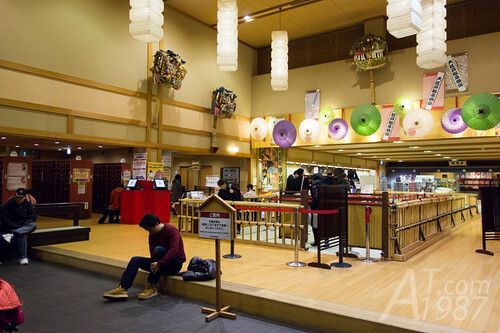 Then check in at the counter next to it. You will be given the wristband that has the bar code on it. This wristband is very important here because it is used for payment here. When you want to buy something, just let the wristband to be scanned. However be careful when make the payment since you have to pay the real money for every payments when check out. 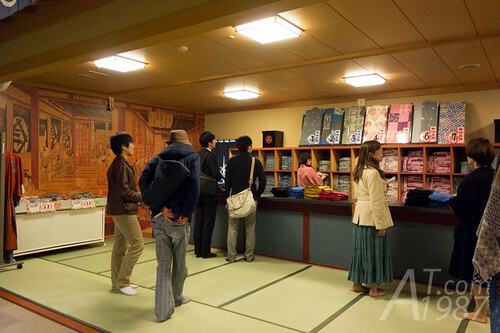 After check in, you have to change your clothes to yukata. There are several style to choose from. You can also choose the color of the sash. 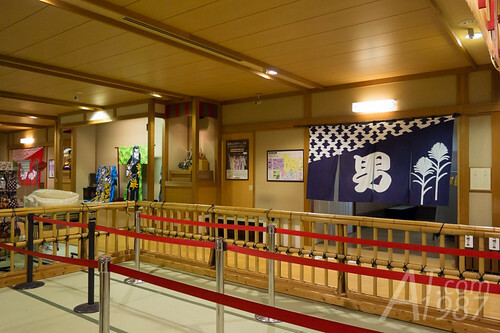 For those who want to buy the yukata here. They also sell their used one for a very bargain price. To enter inside. You put everything in the locker. Your locker no. is on the wristband. Its key is folded in the tag on the wristband too. It’s OK to bring your phone and camera with you. Don’t worry about wearing yukata. There is the English guide with illustration inside. It’s very easy to wear too. It’s time to explore the mini Edo town.